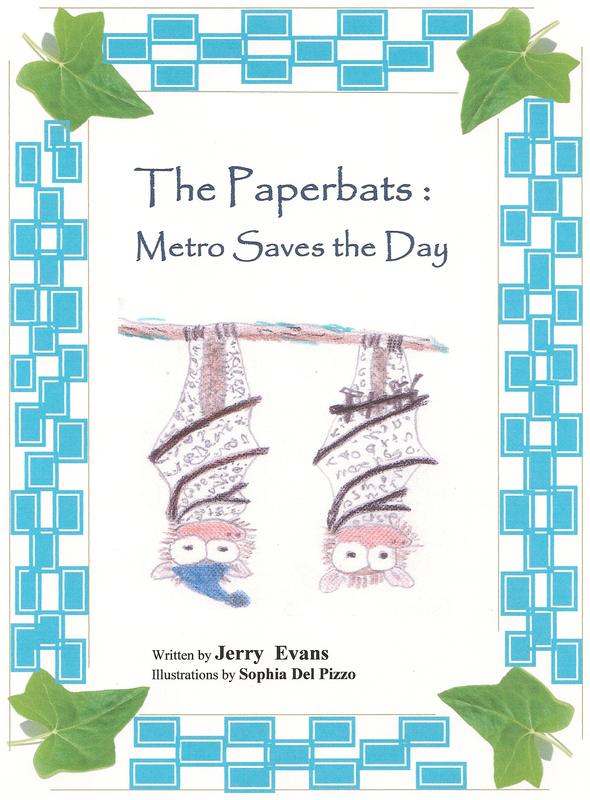 Paper Bats are about as small as your hand, plump and furry, with delicate wings of newspaper. They are small secretive creatures that live in large hollow trees in your local park. The book introduces the different family members- each having a distinct character- and how they live their busy lives. Their purpose in the park is to protect it from dangers, such as fires and damage. The main family characters comprise grandparents/parents and several children. Old Grandpa Times [wise old bat, loves telling stories]; father Herald [recently gained position to proudly protect the park]; Mother Indy [loves painting]; twin sons Metro [an inventor] and Tel [brave adventurer]; older daughter Express [fast flying ] ; baby Sunny [learning to fly / loveable / inquisitive]. 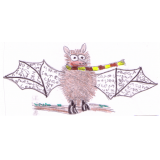 However, there is also a small boy called Jack, who lives across the road and gets to know the Paper Bats, getting involved in many stories. Paper Bats are not like other bats; they are made of paper for a start which is not good for flying in the rain, or being near fire, and due to them being very light, they are blown around a lot by the wind – which is however a key to why they are never recognised as it humans see them, as only think that they are wind-blown pieces of newspaper. “Clever use of ordinary objects such as pieces of newspaper, that otherwise go overlooked.” Oxford University Press, UK.